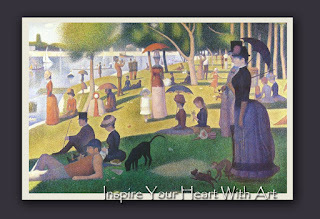 Today is National Inspire Your Heart With Art day. 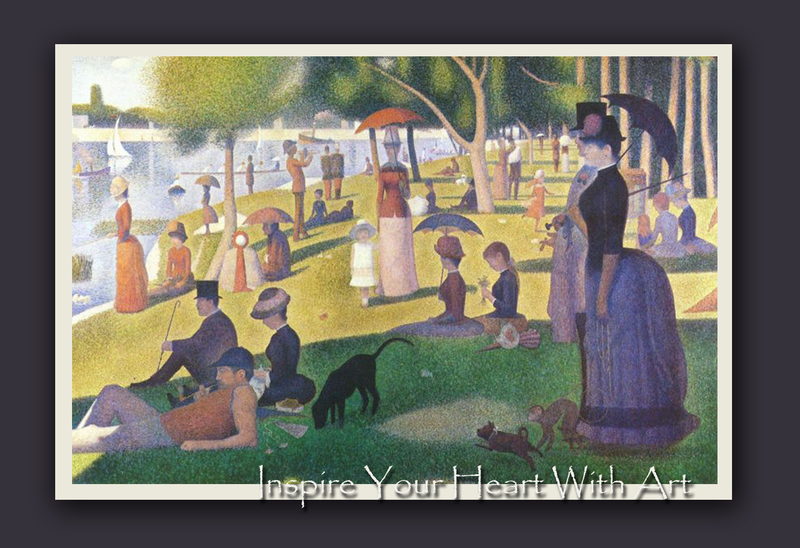 I'm inspired by many artists and works of art, among them the iconic "Sunday on La Grande Jatte" by George Seurat. Looking at and letting yourself become totally immersed within a work of art can open a window into places you would not expect to find yourself or feel an emotion that wells up from deep within. Just imagine the challenge set for the artist who created that emotion-grabbing work of art, to be able to have created something that reached out and touched someone else's heart. Making art isn't easy, creating something that will inspire another is harder, still. What Art inspires you? 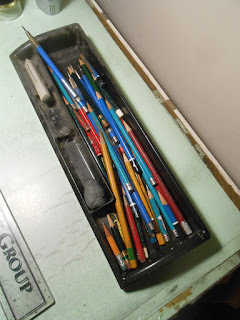 The pencil tray along side my drawing board has been getting a good workout over the last week or two as I complete new drawings for the upcoming Southeastern Wildlife Exposition in Charleston, SC. All done with new works for the show now, time to take a bit of a breather. And, my web site has been back up and running just fine after the change over last week. I'll be posting new work to the site shortly, so check it out. With this year's edition of the Expo just a month away, here is a link to the marvelous Art Book published by the Expo showing a sampling of the works that will be available. There are some mighty fine works represented here, so enjoy a browse. 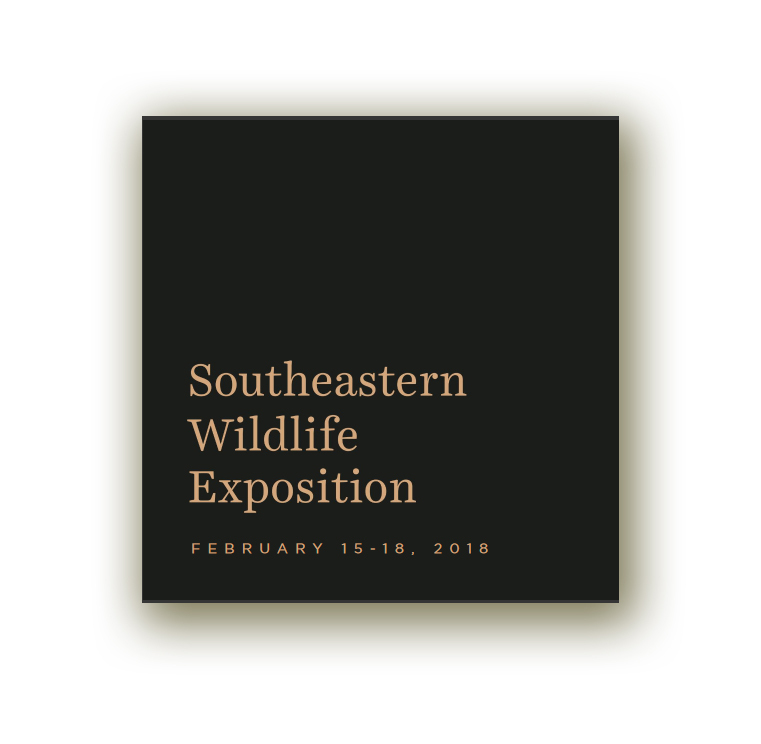 Southeastern Wildlife Exposition and things are heating up in the studio as newly completed works are ready for the trip south to the Expo. 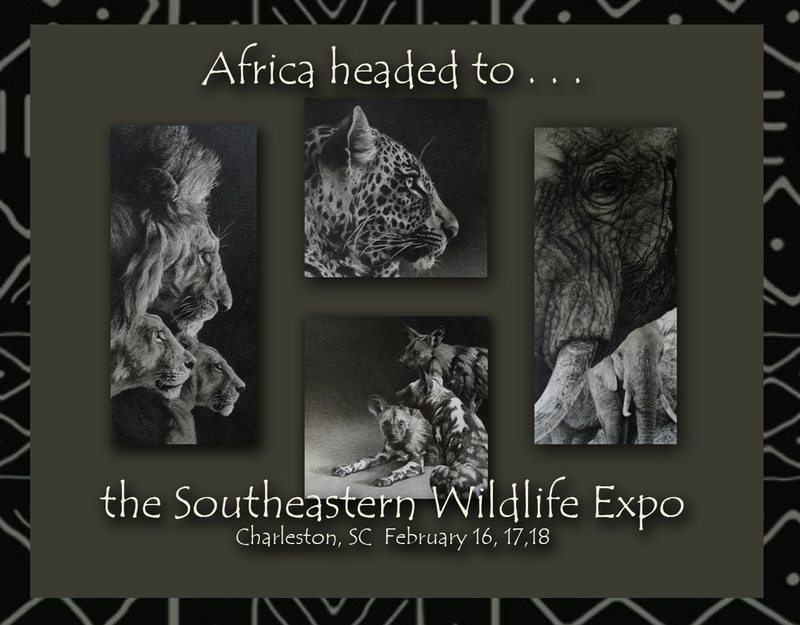 A contingent of African subject works will include these four recently completed smaller-scale pieces. The square works are under six inches square and the more vertical pair are about 9 inches high each. 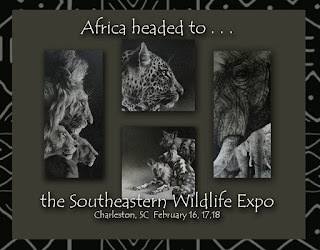 Plan your trip to Charleston next month to see them in person!